According to an estimate from BMO Capital Markets analyst Tim Long, approximately 15% of global iPhone owners use the 2-year-old or older iPhone in 2012. Well, until June, 2017, this figure has been rising up to 1/3 of iPhone owners worldwide. Currently, the number of iPhones in use is 715+ million globally, among which about 236 million iPhones are two years or older. To put it in another words, 236 million iPhone owners are using iPhone 6/Plus or older iPhone models. And we can also see signs of the iPhone 7 slowly but surely gaining on its sibling. If you're using an iPhone 6/6S/7/8/X or older model, it's the right time to upgrade to new iPhone XR, Xs, Xs Max (the recommended lifespan from Apple is 3 years). Yet, before upgrading, you need an iPhone transfer software, Apple iTunes or iCloud to backup iPhone 6/6s/7/8/X and sync data to new iPhone XR, XS, XS Max. This is a key step that had to be satisfied before setting up iPhone XR/Xs/Max. Then, how can you copy old iPhone data to new iPhone XR, Xs, Xs Max? Read on below smart approach. To make a backup of iPhone 6/Plus/6S/7/8/X everything and then transfer data from your old iPhone to new iPhone XR or iPhone XS, XS Max, you're highly recommended to use MacX MediaTrans, cuz it can backup music, iTunes purchases, movies, photos, ringtones, iBooks, etc. from iPhone 6/6s/7/8/x and then transfer to your new iPhone XR, XS, XS Max. Copy iPhone 6/Plus/6s/7 music, iTunes DRM purchases, video, photos, ringtones, iBooks, voice memo, etc to Mac/PC without any data loss. Restore & transfer iPhone 6/7 files to new iPhone 8/Plus/X from Mac/PC, be it video, music, photos, iTunes purchases, iBooks, etc. Add any video audio to iPhone X/8/Plus/7s like MKV, AVI, FLV, HEVC, FLAC, WMA, CD, AIFF, OGG, etc. (built-in video/audio converter). Unlock protection from iTunes purchases; convert M4V to MP4; M4B/M4P to MP3 for personal legal playback on Android, HDTV, VLC, game console, etc. Create/edit/delete files; make iPhone ringtone; mount iPhone as USB drive; More importantly, no iCloud/iTunes errors when transferring files. 1). Free download this iPhone backup software on Mac or Windows PC. 2). Your iPhone USB cable needed; update iTunes to the latest version. 3) Make sure your macOS is OS X 10.7 or higher (macOS High Sierra and Mojave supported). Launch this iPhone transfer program and connect iPhone 6/Plus/7/8/X to your Mac via USB cable. Follow the prompts to connect or reconnect your iPhone and set up iTunes lest your data get lost during backup and transferring process. Tip: No need to worry. iTunes is just to detect your iPhone and it won't be used to backup iPhone 6/7/8/X files or transfer data to new iPhone XR/XS/Max . Click "Photo Transfer", "Music Manager", "Video", "Voice & Ringtone", "Unlock protection", or "Book", etc. on the main interface. Here we take video backup for instance. Tap "Video" > Select iPhone 6 videos or just tick "Select All" > Click "Export" to transfer iPhone 6/6S/7/8/X videos to Mac. The same steps can be applied to transfer iPhone 6/6s/7/8/x music, photos, voice memo, ringtone and more, so that you're able to backup iPhone 6/6s/7/8/X to Mac. Plug out your iPhone 6/7/8/X and plug iPhone XR or iPhone XS, XS Max to USB port of Mac. Same to Step 1. Pick out which files you wanna transfer to iPhone XR, XS, XS Max first and then click it, e.g, transfer music to iPhone XR or iPhone XS/XS Max from MacBook, iMac. Click "Add Music" to import music from Mac to iPhone xr/xs. Then hit "Sync" button to sync iPhone 6/7/8/x music files to iPhone XR/XS. With this iPhone transfer tool, you can also import any other video audio file from Mac to iPhone XR/XS/Max, for instance, transfer CD to iPhone XR/XS , transfer 4K video to iPhone XR/XS, add torrent movie to iPhone XS Max, import WMA music to iPhone XR/XS, etc., all thanks to its built-in video/audio converter to automatically convert any file to iPhone supported formats. iTunes is a media player, media library, and mobile device management application developed by Apple, with which you can copy iPhone 6/7/8/X content and transfer contacts, settings, messages, notes, text and calendars (6 types in total) to new iPhone XS (Max) . 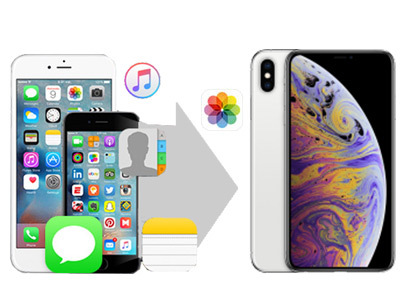 The data transfer process is actually composed of two steps: how to backup iPhone 6/6S/7/8/X files and how to transfer data from old iPhone to iPhone XR, XS, XS Max. Now, let's start with iPhone 6/7/8/X backup. 1. Connect your iPhone to computer and open iTunes. Then open Choose File > Devices > Back up. 2. Click Back Up Now. iTunes will proceed to store your phone's data on your computer. You can verify that the backup was successful by clicking preferences and then selecting the Devices tab. 1. After the data backup, you can move and backup files from old iPhone to iPhone XR/XS via iTunes. Connect your iOS 12 iPhone XR/XS to the computer that you used to backup your old iPhone 6/7/8/X. 2. Open iTunes. 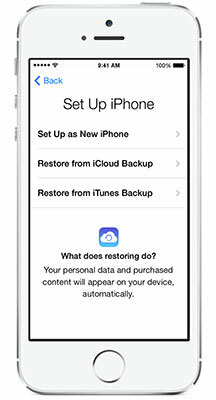 Opt for your iPhone 8 device > Select "Restore Backup". 3. Choose the backup file of your old iPhone 6/Plus and it will begin to transfer iPhone 6/7/8/X files to iPhone XR, XS, XS Max. 1. Free to backup iPhone 6/7/8/X files. 2. No space limits on iPhone files backup. 1. 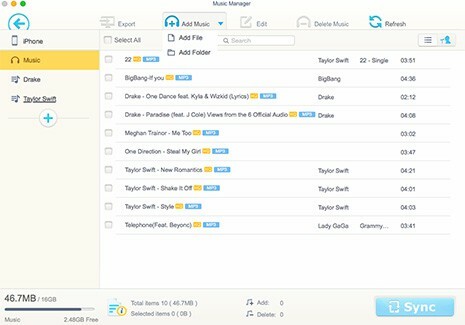 Not support to transfer and backup iPhone music, video, apps, ringtones, iBooks, etc. to computer. 2. Various iTunes errors: iTunes not recognizing iPhone, iTunes freezes or becomes unresponsive during iPhone backup, iTunes library disappear, iTunes could not back up your iPhone, iTunes won't restore etc. iPhone XR/XS won't restore from iTunes? iCloud backup couldn't be completed? Unknown error when restoring iPhone 8 with iTunes? Why not restoring iPhone from computer? >>> MacX MediaTrans: help you restore and transfer data to iPhone XR/XS safely from PC with no trouble! Backup all old iPhone files to computer before iOS updates like video, photos, music, eBooks, ringtones, etc. No.1 fast transfer all data to iPhone XR/XS/X/8/7/6/6S/SE from computer without any data loss or unknown error. Unlock protection from iTunes purchases and convert M4V to MP4, M4P/M4B to MP3 for limitless legal playback. Best iPhone data transfer tool Free Download. Much easier and faster than iTunes/iCloud! 1. Select iCloud on your iPhone 6/7/8/X and open it. Scroll down and tap the "Backup" option. 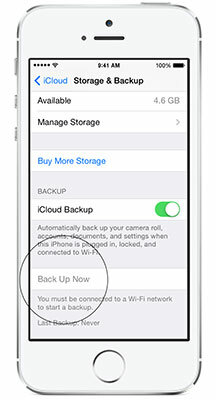 Slide the "iCloud Backup" switch to On. 2. Click Back Up Now to begin backing up iPhone 6/7/8/X content to iCloud. Make sure your Wi-Fi connection is stable and smooth. 1. Open your iPhone XR or iPhone XS (Max) with a "Hello" screen and set up iPhone XR/XS/Max. When you come to the Apps & Data screen, tap Restore from iCloud Backup > Next. 3. Choose a backup. Check if your file is the latest one via its size and date. 4. Stay connected with Wi-Fi and wait for the iPhone 6/7/8/X backup restore process to finish, then complete the rest of iPhone 8 setup steps. To transfer music, photos and apps from iCloud to iPhone XR, XS, XS Max, please connect iPhone XR/XS to Wi-Fi and charge it with a power after setup. 1. Support to backup various types of files including photos, apps, mail, contacts, pages, keynotes, etc. 2. Quite convenient for users to access to iCloud backup files. It's on cloud, not local. 1. Not support to backup iPhone videos, ringtones, iBooks, voice memos, etc. And you can't download iPhone music from iCloud, either. 2. Limited free storage, only 5GB. If you need to upgrade iCloud storage, the fees are high, from $35.64 to $359.64 if you use iCloud for 3 years (an iPhone lifespan). 3. iCloud not working well sometimes, such as iCloud backup won't be completed, photos fail to upload to iCloud, iPhone won't restore from iCloud backup, etc. Many users may wonder why they lose their device data. To aviod other data loss in the future, here we list the most common resons responsible for iPhone data loss problem. 1) To get enough updating space, many users have to delete some data in device, such as photos, videos, messages, contacts etc to get their device updated. 2) iOS 12 update failure. Problems appeared in the process of upgrading their iPhone to iOS 12, resulting in loss of iOS data. 3) Go to recovery mode. The device goes to the Recovery Mode and leads to data loss.